Today’s Rowing WOD is an opportunity to use rowing as a warmup and cool down. The sumo deadlift high pulls are for power and speed on the drive. Form and speed on the bar should be the focus in hopes of transferring power/skill to the boat. Push hard in the metcon and get that heart rate and breathing up. There’s a video below of the Boston College Men’s Crew Team using Renegade Rowing for their daily practice. 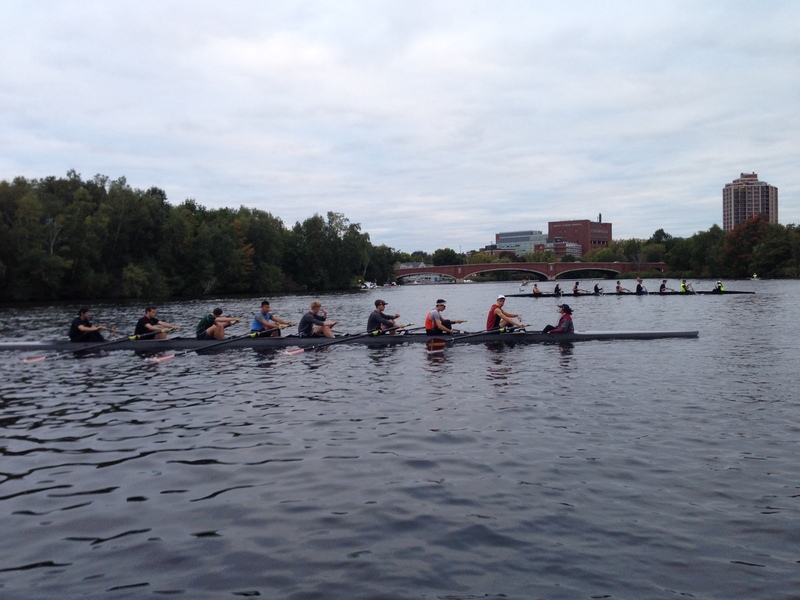 They’ve been working hard in preparation for the Head of the Charles this weekend. If you can do this on the water even better! This practice should take no longer than 2 hours. Cut out some of the running/rowing if you’re strapped for time. This entry was posted in Fitness, Rowing, Strength and tagged agility training, balance life, endurance sports, exercise, functional movements, outdoors, people, recruitment patterns, row 2k, rowing, sports, training, water by Renegade Rowing. Bookmark the permalink.